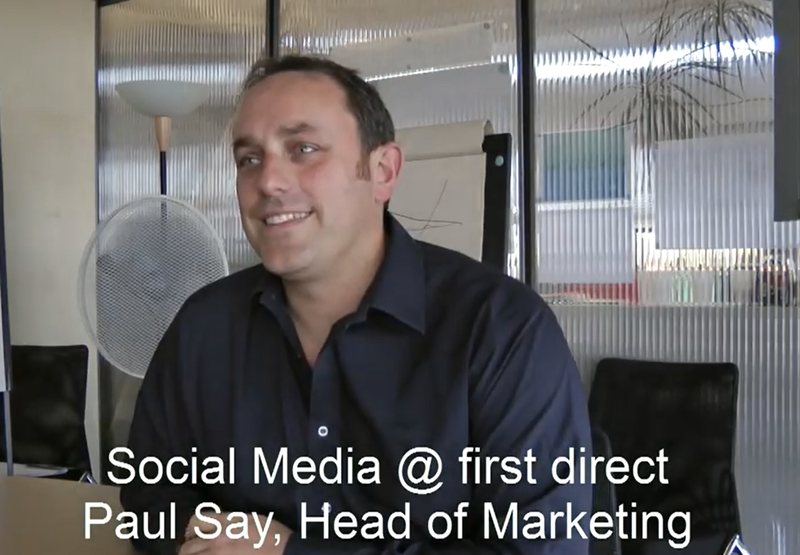 This is the one of the two interviews I recorded in early August at the first direct head office in Leeds. Last week, I had the pleasure to spend a few hours with Paul Say – Head of Marketing, Natalie Cowen – Head of Brand and Communications and Amanda Brown – PR Manager. A big THANK YOU to Amanda for making those interviews happen, and for her guided tour of the first direct open plan office. It was great to see where “the magical customer conversations” happen. Since HSBC’s’ 100% direct bank launched back 22 years ago, first direct has constantly focused on providing the best customer relationships on the phone. Since then, with the fantastic take up of the internet in the UK and the growing level of activity online on forums and other online communities like facebook or twitter, first direct is committed to translate its “magic customer conversations” from the phone to online. A few weeks ago, they launched a facebook page and since last week the first direct Lab (crowdsourcing) is now live. This is another major step in first direct social media strategy, from listening to sharing with their customers. ‘Live’ and unedited customer feedback will set a big challenges (in terms of risk and concerns from first direct’s HSBC colleagues…) but it will also present some fantastic opportunities. Excellent. At last, this is some genuine transparency from the most recommended, and most loved, UK bank. By the way, in your opinion what is transparency in financial services (PR & Marketing, crowdsourcing, Voice Of the Customer, strategic, financial)? I invite you to watch my video with Paul, available on our YouTube channel.